Do you want a deeper, stronger bond with your horse? Maybe you’ve just brought home a new horse, or maybe you want to improve your relationship with a horse you’ve had for years. Try out these 6 ways to improve your bond with your horse. It may seem counterintuitive, but take a break from riding for a bit. Instead, focus on building your relationship with your horse on the ground. 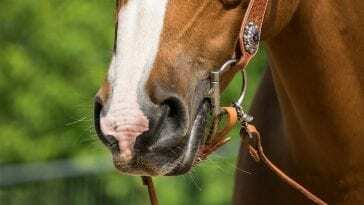 Although it may seem odd, this will actually work to improve your bond with your horse. 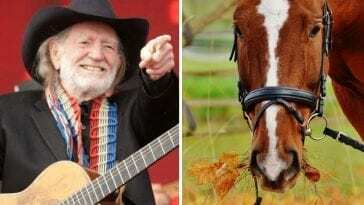 When you work with your horse, insist that he respect your personal space, and follow you willingly when you lead him. Gaining your horse’s respect on the ground can transfer when you mount up again to ride. Doing groundwork every day with your horse can help to establish boundaries and your role in your horse’s life. 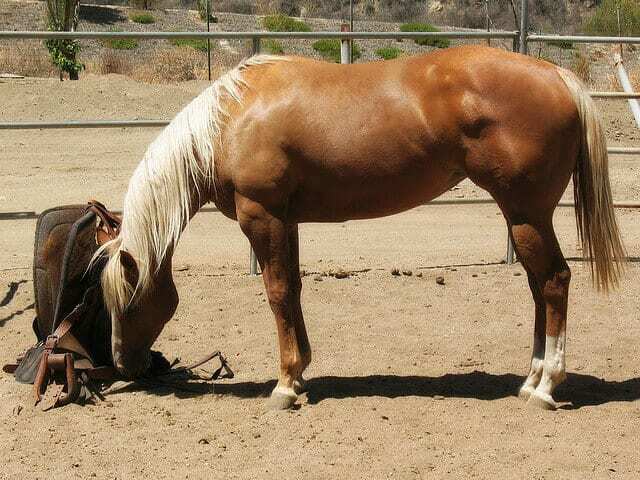 Groundwork can consist of simple exercises, like asking your horse to lower his head. 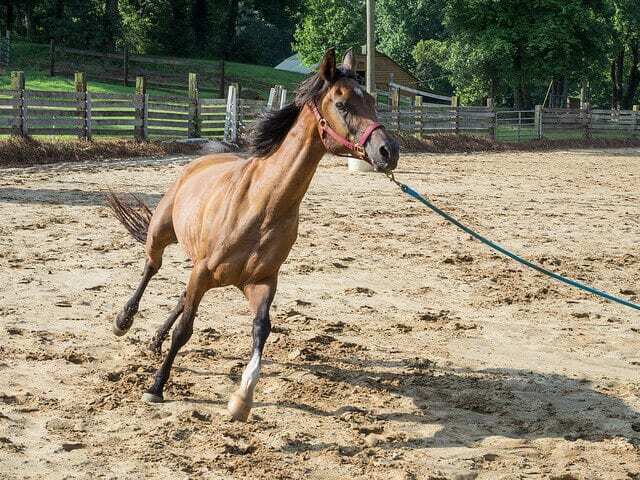 Groundwork provides an excellent foundation to your relationship, and you can do groundwork whether or not your horse can be ridden at this point. 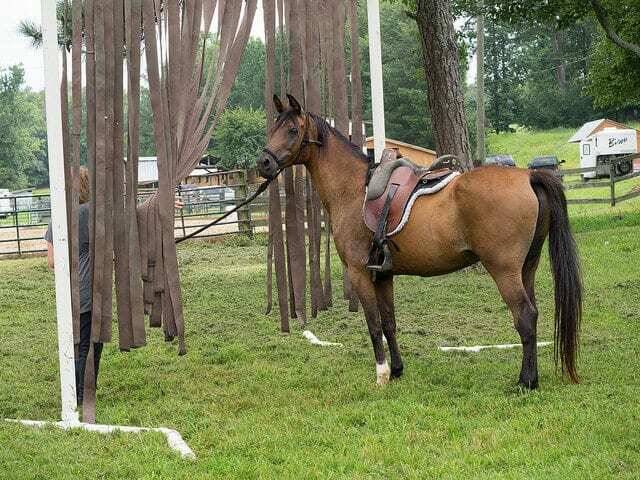 Equine agility is a great way to improve your bond with your horse. You can start off with unmounted agility, and may choose to progress to mounted agility. With agility, you and your horse will conquer different obstacles which can be scary initially. 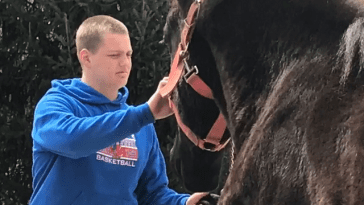 It’s a rewarding activity that can improve your communication with your horse. Grooming is a great bonding activity. Horses groom other herd members in the wild, and grooming is a way that we can communicate with our horses using their own natural behaviors. 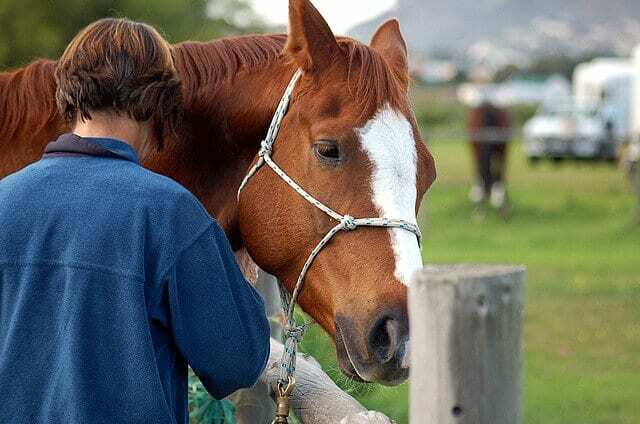 Spend some time grooming your horse every day to strengthen your bond with him. If you don’t already do all or most of your horse’s care, then take responsibility for caring for your horse for a month. 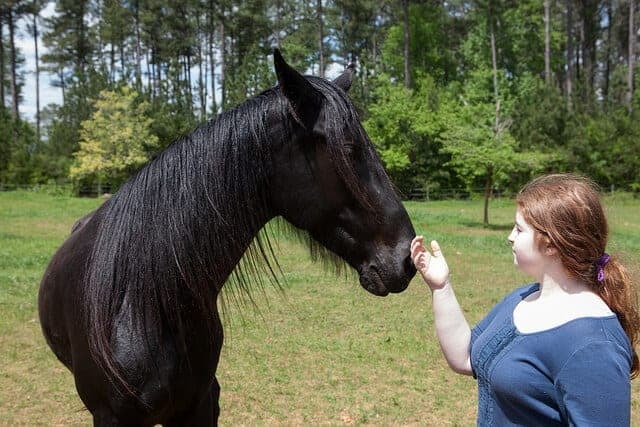 When you’re the one who feeds, grooms, and cares for your horse, you can learn things about your horse’s habits and personality that you didn’t know before. Your horse will come to know you as the person who turns him out in the morning and comes to get him at night, and he will also look to you for his food. Give something new a try with your horse. Try out a new discipline, or go for a trail ride in a new location. Meeting and overcoming new challenges with your horse can help both you and your horse build your confidence and trust in each other. 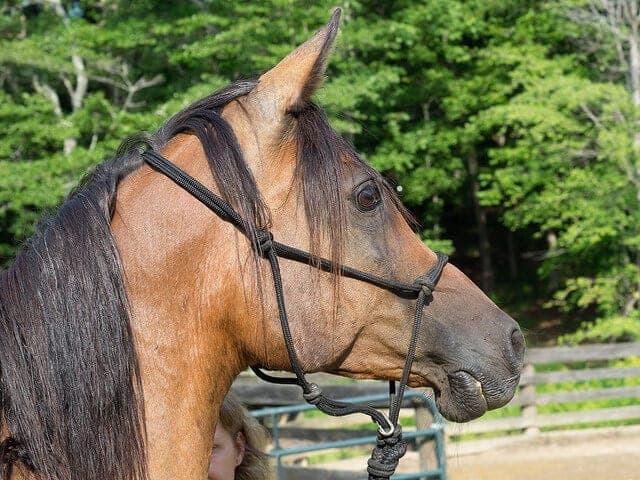 Trying out new things is a great way to build your bond with your horse. 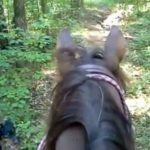 After 10 Long Years, This Horse Finally Got His Stride Back!